During the holiday season, people do a lot of thinking about the gifts they plan on buying for their loved ones. And while the spirit of giving is what makes this time of year so special, it’s not necessarily a bad thing to still think about yourself. Think about it. You see yourself more than anyone else in the world. So it’s impossible to not think of you, right? Often, people get self-conscious about their appearances because they are literally looking at themselves in the mirror each day. In some cases, we go a bit too overboard in thinking we need to make major changes. And in other cases (the more rational ones, I would think), we feel the need to get a couple of touch ups to give ourselves that little boost of confidence. This is where Juvederm Voluma comes in. Invasive plastic surgery this is not. We’re talking about a treatment that can refresh and enhance your appearance without cutting. A qualified cosmetic doctor performing quick and simple injections can help bring you a natural, more youthful look without the need for incisions and a lengthy recovery process. 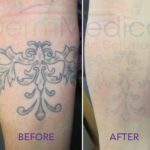 Let’s look at a few things that Juvéderm can do for you. Crow’s Feet. Juvéderm injections made near the corner of the eyes help to smoothen out the wrinkles that form around them. These wrinkles often form due to sun exposure, smoking, various facial expressions and of course, aging. It’s usually agreed upon that the signs of aging are most apparent around the eyes. Juvederm will help you to locate the proverbial “fountain of youth”. Forehead Lines. Just like crow’s feet, the lines in your forehead are generally formed by the various expressions that your face makes. 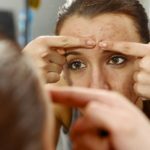 Repeated contractions, that simply can’t be helped as you live your life, end up leaving these lines once your skin begins to lose some elasticity. Juvederm can lessen or completely remove such lines. Frown Lines. Of course, of the many expressions that you can make, the frown is sadly one of the most popular. As a result, these wrinkles that live right between your eyebrows can give you the appearance of always looking upset when that isn’t necessarily the case. Also caused by muscle contractions, the lines can also be lessened or completely removed by Juvederm injections. Smile Lines. Well, you can’t frown all the time, right? Smile lines are those vertical lines that occur on either side of your mouth. They generally appear at the side of your nose and run down to the corners of your upper lips. You can fill in and reduce the appearance of these line with Juvederm injections as well. In my next blog, we’ll go over a few more areas of the face where Juvederm injections can be of great assistance. You may be surprised to know that Juvederm isn’t just a wrinkle buster. For more information on Juvederm injections, contact DermMedica online through our website or call us toll free at 1-866-861-3070.